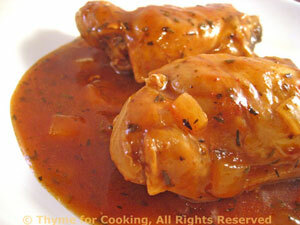 Dinner tonight: Chicken Thighs in Wine and Vinegar. Chicken thighs are a nice change from breasts; skin or not as you choose. Scrub the new potatoes but leave whole. Heat oil in a medium, nonstick skillet over medium high heat. Add new potatoes and sauté 5 minutes, shaking and rolling them about. 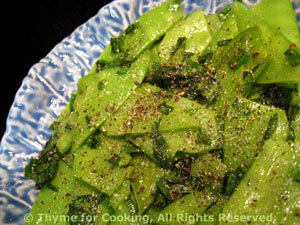 Reduce heat to low, cover partially and cook for 25 minutes, or until very tender. 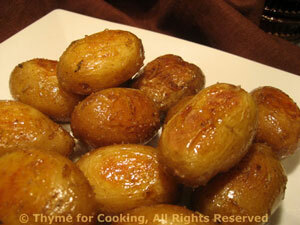 When ready to serve, add butter, roll them around to coat, sprinkle with salt and serve.